This story was originally posted on fanfiction.net (where it also still exists). 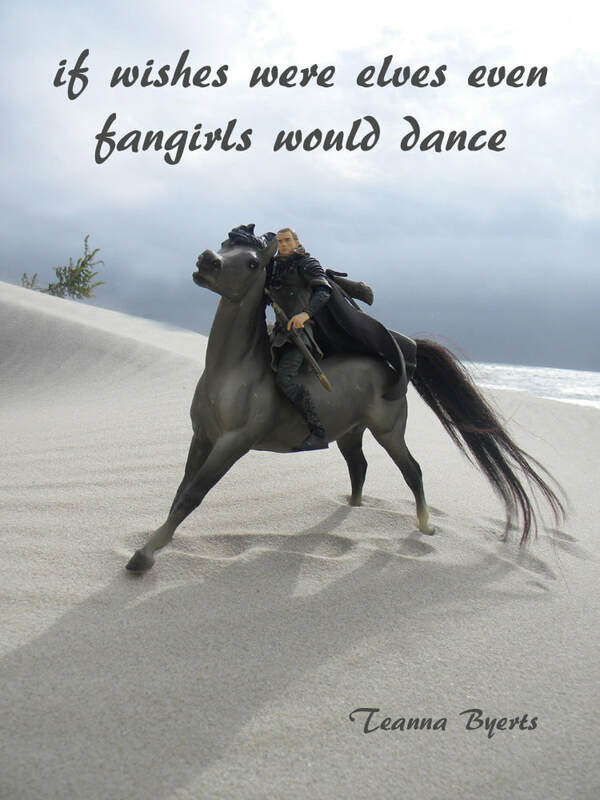 It was my answer to the fangirls who suddenly discovered Legolas when Lord of the Rings became films. I had discovered the Elf in the Fellowship when Orlando Bloom was in diapers, and felt the need to set some of the fangirls straight. Like, what would happen if that great trope of fanfiction actually happened, and your favorite character(s) did fall into your world? And really, you will need to put them back. Someone loaned me a whole mess of original X-Men comics... and I added a love of the blue blond-eyed Elf to my love of the blond blue-eyed one. Nightcrawler bamfed into the tale to weird effect. ​The Inkitt version is illustrated.